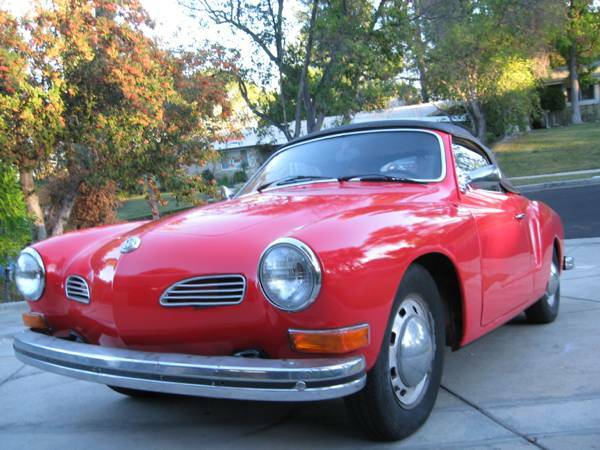 Buy Classic Volks – Looking for a Jeep Wrangler, VW Karmann Ghia Convertible 1973 ready to trade location in Woodland Hills CA. As shown here is 1973 model a classic Volkswagen Karmann Ghia Convertible come in red color and black soft top and black interior. Described as very good condition, has been fully restored and interior renovated with modernized entertainment and safety parts. 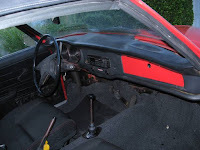 Only 75000 miles on it. 1973 VW Karmann Ghia Convertible, Good condition, runs good fully restored, no rust new I replaced both full pans and brake lines, generator replaced with Alternator, recently install automatic door lock with remote control, Alarm system and Kenwood stereo system with Bluetooth and smart phone control. 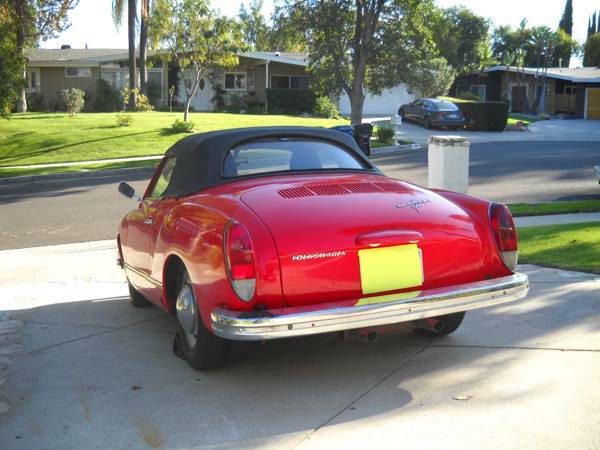 I am the second owner and have the pink slip on hand, clean title registration paid up to date, ready to drive. 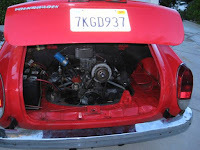 I have lots of engine parts including a engine block and lot more. 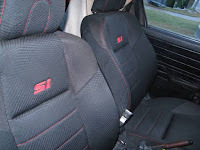 I custom fit Honda Civic Si seats but still have the original seats. 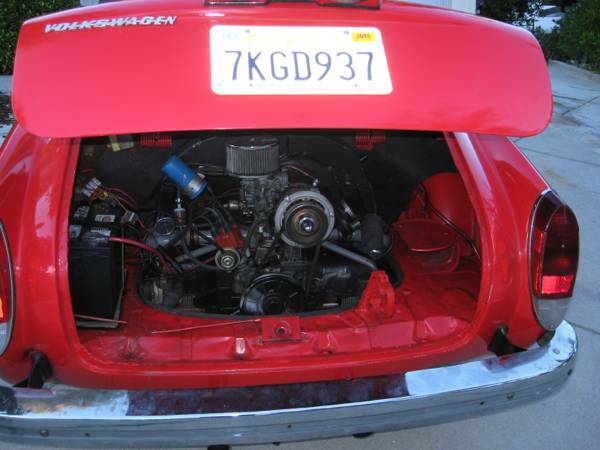 I am looking forward to sell it for $12,500.00 or trade it with Jeep Wranger 4×4 Automatic Transmission 2005 and up. Please contact me by text/phone call. 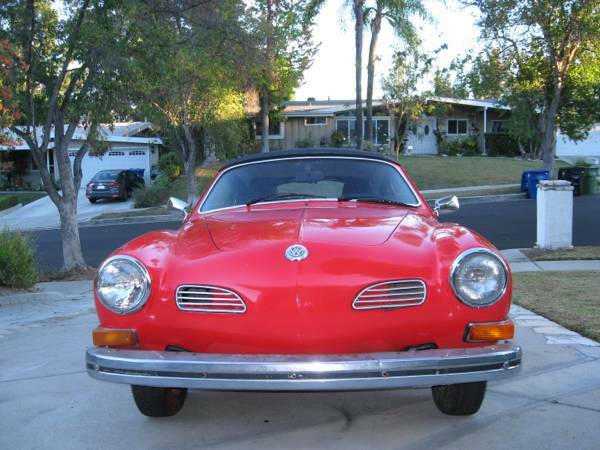 This entry was posted in 1973, For Trade, Ghia, USA, Volkswagen and tagged Volkswagen Karmann Ghia Convertible on February 6, 2017 by buyclass.